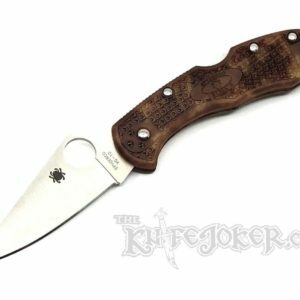 Spyderco’s best-selling Domino is a shining example of Spyderco’s principle of “No more than necessary; no less than perfect.” Designed by Eric Glesser, this performance-driven knife combines all the quintessential qualities of a classic Spyderco design with the additional benefit of a Kit Carson flipper opener. 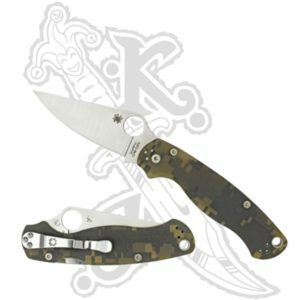 This unique Exclusive version of the Domino was produced for Blue Ridge Knives, but is also available in limited quantities directly from Spyderco. 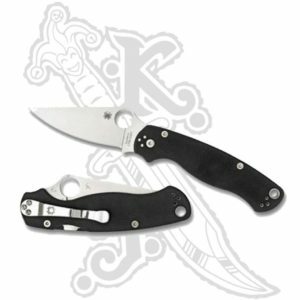 It boasts all the defining features of the Domino design—including a premium CTS® XHP stainless steel blade, a full-flat grind, and specially designed ball bearing washers in the pivot for an exceptionally smooth opening action. 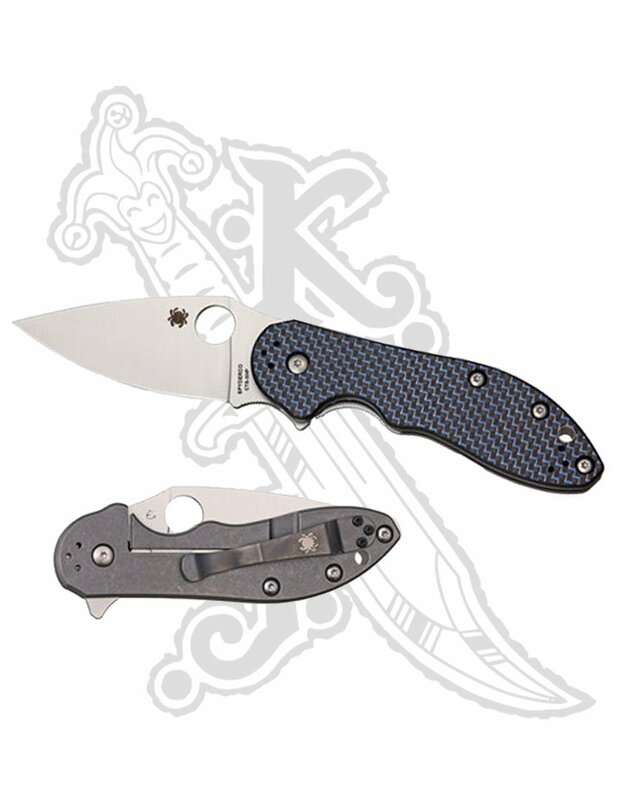 Its handle features a solid titanium scale on one side and a titanium liner and a vibrant blue carbon fiber scale on the other. The titanium scale houses a high-strength Reeve Integral Lock (R.I.L.) mechanism with a long-wearing steel interface that serves double duty as an overtravel stop. For ease and versatility of carry, the Domino also includes a black, four-position pocket clip that supports left or right-side tip-up or tip-down carry. 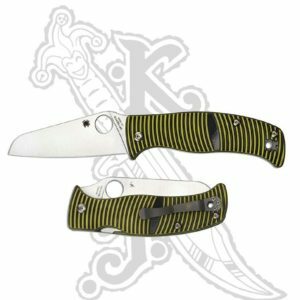 A truly unique expression of one of Spyderco’s most popular models, this Exclusive version of the Domino is sure to become a coveted collector’s item.